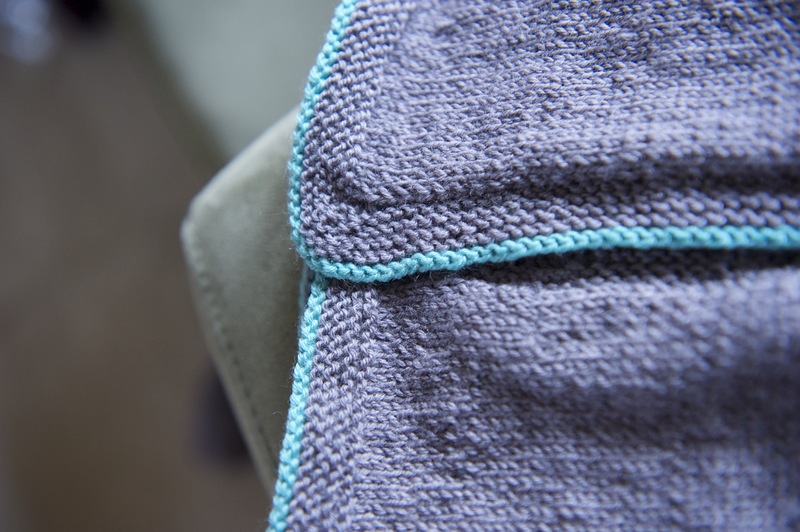 If you recall a few weeks ago, I gave you a snippet of a photo which showed some secret knitting? 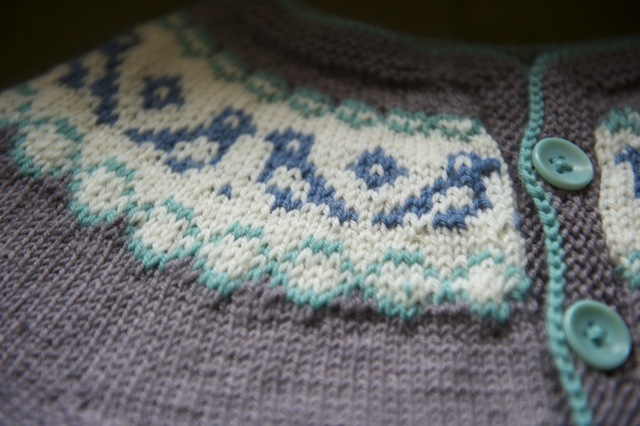 Well I’ve presented Louisa with my surprise knitting gift so now I can do the big reveal, I’ve made her a Chickadee! It was pretty fun to make. 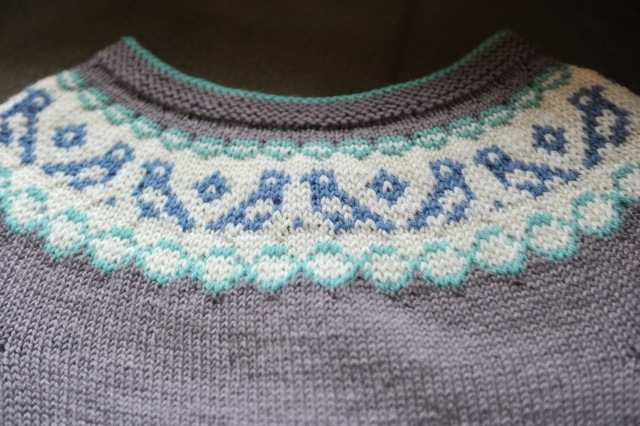 The pattern comes from Ysolda’s Wee ones collection. 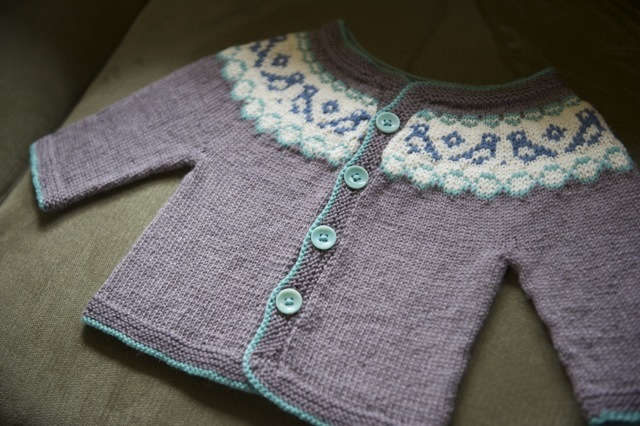 It has so many cute patterns in it, they are miniature versions of some of her adult garments. Louisa was surprised! 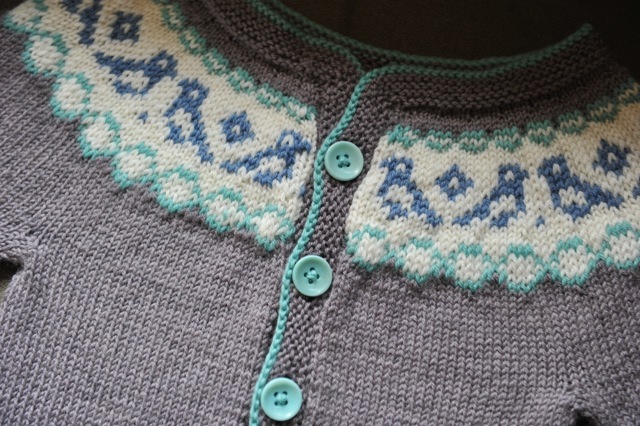 and I was thrilled, aren’t knitters the best people to make for?